Heat oven to 375°F. Spray large cookie sheet with cooking spray, or line with cooking parchment paper. In 10-inch nonstick skillet, melt butter over medium-high heat. Add bell pepper and onion; cook 4 to 5 minutes, stirring occasionally, until vegetables are starting to brown and are crisp tender. Stir in steak seasoning and roast beef; heat 2 to 3 minutes or until heated through. Remove from heat; cool 5 minutes. Separate dough into 8 triangles. 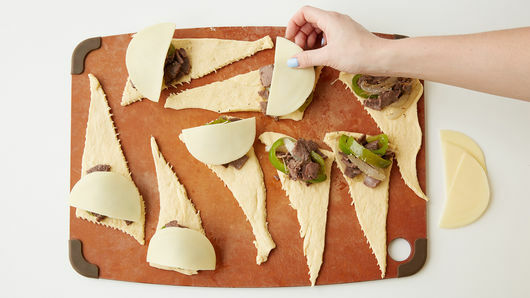 Place beef and vegetable mixture evenly on wide ends of each triangle; top with one half slice of cheese. 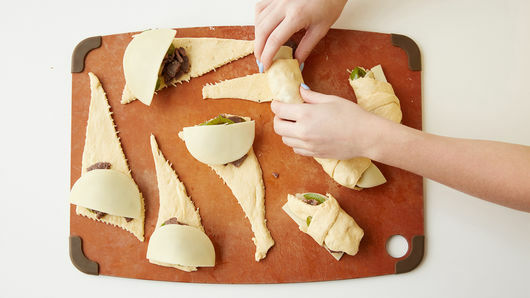 Roll up each crescent, ending at tip of triangle (roll-ups will be full). Place with tips down on cookie sheet. Bake 15 to 19 minutes or until deep golden brown and heated through. Serve warm. 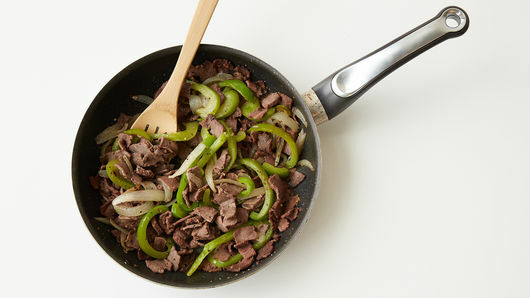 Sautéing the deli roast beef with the green bell pepper and onion helps deliver on the traditional Philly cheese steak flavors. 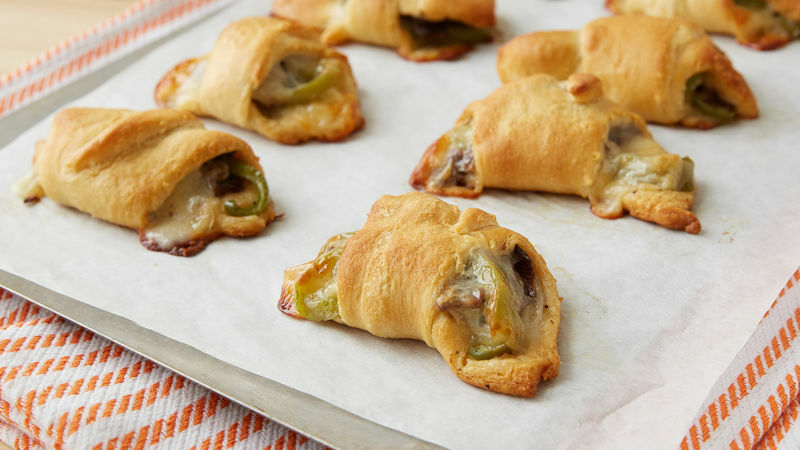 Crescent roll-ups will be pretty full, just like your favorite messy Philly cheese steak sandwiches.